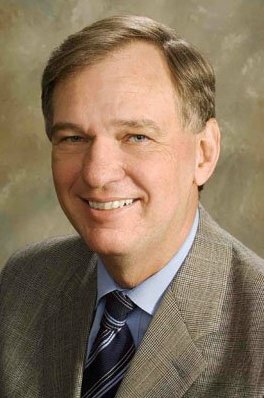 If a person’s command of campaign messaging is a good barometer for interest in running for office, then John Hanger is all but in the 2014 race for Governor. The former Secretary of the Department of Environmental Protection under Governor Ed Rendell, Hanger offered incisive criticism of Gov. Tom Corbett’s record during a conversation with PoliticsPA Thursday. Hanger, 55, served as the Commissioner of Pennsylvania’s Public Utilities Commission during the Ridge administration from 1993 to 1998. In 2008, he took the helm of DEP, the state’s environmental watchdog agency. He lives in Hershey with his family. He had practice on the campaign trail this year, when he spoke as a surrogate for President Obama on several occasions. PoliticsPA is seeking comment from Corbett’s campaign. Hanger said he’s strongly considering a run, and sounded like a man eager to jump in. He said he wants to have a strong policy platform and put together a campaign team. “I’m not interested in running a symbolic campaign,” he said. He noted he’d stay out if either Rendell or U.S. Senator Bob Casey decided to get in the race – but said he’s spoken to both and doesn’t think either will run. Pa. Treasurer Rob McCord is widely considered to be a likely candidate, and former U.S. Rep. Joe Sestak has also been floated as a possibility – in addition to a dozen other Democrats. As the state’s former top environmental watchdog, he’s in a somewhat tenuous position in the Marcellus debate. As the founding President of environmental group PennFuture from 1998 to 2008, he was viewed with suspicion by the gas drilling industry on his nomination to DEP Secretary. However, his tenure there and his support for drilling led some activists – notably Josh Fox in the film ‘Gasland’ – to question his ecological credentials. Asked about Corbett’s handling of drilling, Hanger didn’t talk about regulations or oversight. Instead, he criticized the Governor for not doing enough to capitalize on Marcellus shale. “Despite a falling national unemployment rate and a global energy bonanza, Tom Corbett produced rising unemployment. It’s jaw-dropping,” Hanger said. He added that he would be a strong advocate for renewable energy. First, mercury from burning coal (PA, OH, IN, IL) is found in birds and insects in the Adirondacks. So, “losing coal jobs” is a good thing, AND we need a progressive program that directly transfers those coal jobs to sustainable energy jobs. This would give meaning to “united we stand.” I.e. create a structured closing down of coal plants in tandem with a structured building up of sustainable energy plants, and literally train and transfer coal worker to the new plants. Don’t defend coal in the name of jobs; defends jobs in the name of healthy living. Second, no politician will be perfect, and we are an empire, so any shift to a positive, humanitarian, ecological future is a good one. The shift will take time, and no one election will create it. Moreover, it’s not the elections that create the real change. It’s you and me that do, day to day. So let’s get busy. Hanger is just as bad as Corbett when it comes to protecting the environment from the hazards of gas drilling. He won’t be getting my vote. I am a Republican who would gladly support Hangar, one of the best informed people I know. I worked alongside John during his tenure at DEP, and could not think of a stronger candidate for Governor. John held our staff to the highest standards and ensured that we were accountable for proper use of all state funds being used by the agency. He was a strong, dedicated leader. I couldn’t have more respect for him. While I understand those who want to stop fracking completely, I do not believe this is going to be possible. What we can force however is responsible, accountable, and controlled use of a natural resource that adds to the mix of energy independence for the US (if, as stated, controlled, not exploited for foreign use). John is a person with a broad enough view to to maneuver this and help Pennsylvania come out ahead, rather than taken advantage of as we have been the past two years and likely will also be the next two years. Let’s just hope there is something left by the time we get to the 2014 election! John is well known across the state having held statewide office for more than 7 years. John is an acknowledged expert on energy issues and the economics of energy. He has a record of major accomplishments that nobody else has–slashing electricity rates by more than 40 per cent; creating PA wind and solar industries; enacting major legislation like Growing Greener, AEPS, Act 129 and more. Been reading Hanger’s blog for years, and Kelly’s right, he’s extremely well informed about energy. He’s been a longtime supporter of sustainable energy, too. Unfortunately, he also favors unconventional energy, namely fracking, and so he probably wouldn’t get my vote. One also has to question whether he’s got the political chops to dispense with the current travesty-in-chief. Rob McCord might be the stronger candidate. I don’t know enough about Hanger to comment on his energy policies but I do know he is approachable and interested in learning about issues. He has also been supportive of our efforts to get more PA Democratic WOMEN elected to office. Characterizing John Hanger as “left wing lunatic” or somehow responsible for the decline in the coal industry is code for total ignorance or stupidity. Name calling from behind the keyboard of your computer is truly pathetic. If you want to be part of the debate bring something intelligent to the table. John offers one of the most balanced and intelligent perspective on energy that you will find. The coal industry is in decline because the grid is beginning to transition to cleaner burning and cheaper natural gas. Capitalism at its core, an abundant, cleaner, safer and cheaper energy choice that is the right choice for the USA. Is there some risk, of course, as there is with every energy choice, however, the risk associated with shale gas development is small compared to the ongoing destruction created by the coal industry ie., full scale subsidence that has caused entire streams to disappear, killing off the entire aquatic life, mountain top removal that has buried hundreds of miles of streams, mercury, NOX, and particulate emissions that have contributed to increased cancer rates in the USA to name a few. Release the Frackon! Clash of the Gasholes. What is the basis of calling Hanger a left wing lunatic? Perhaps there is much more to him than I know of, but he seems to be a well informed guy with a holistic view of the issues and strong track record. I base that on his published articles, his blog, plus his distinguished track record at PUC and DEP. Is there more? Actually, John is one of the most informed sources on the balance of ALL energy sources across PA. If you actually took the time to read his FACT based blog daily or so, you would see this for yourself. You can find it at http://www.johnhanger.blogspot.com/. He is hardly as was stated, “a total left wing hypocrite lunatic.” He is very open to factual input from all sources. John is also one of the most honorable men I have met in Pennsylvania these years I have been here. He would not only have my vote but also my support in organizing what I’m sure would be a successful campaign (unlike the past campaigns of some Dems being suggested outside of Rendell and Casey). Can’t be serious…would rank him at the back of the bus. I’m not sure how or why attempting to use the sun or wind as a secondary source of power makes one a freak, I think energy exploration in multiple directions, including coal, gas, etc is kind of a common sense approach. However, I will completely agree with your sentiment about Hangar being a left wing lunatic. Talk about irony- the “former Secretary of the Department of Environmental Protection” complaining about jobs when the coal industry and those who support the coal industry are losing their jobs. Create the disaster (or oversee it) and then complain about its impact. Kind of like raising minimum wage 35% asnd then being surprised at the economic fall out that ensued.